The base Celeste design includes a 16” or 18” chain, one engraved 5/8" flower shaped charm, and one small stone charm. Additional charms and stones may be added for an additional charge. 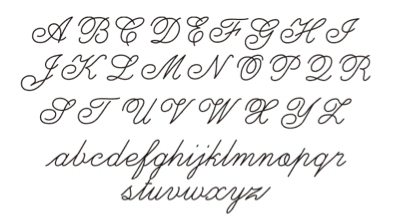 Your charm will be personalized in the script font as pictured. Please note, we are unable to accommodate special font requests for this design, including all lowercase and all capitalization. Ordering was easy, shipped on schedule and I received alerts so I knew exactly when it would arrive, and I loved my necklace...better than what I expected. The necklace is well made. Looks just like the photo. It is uniquely yours, arrives promptly in nice packaging. Great way to keep loved ones close or a sweet gift idea. I didn't do the stones to keep it very "Celeste" Great everyday piece if you use both metals it matches everything! Love love love my necklace!! Better than I ever expected!!! And customer service is amazing! They made sure I recieved my item in time and my necklace was simply perfect! Can't wait to order more!! Response from Three Sisters: THANK YOU Yvette for your kind review. We love to make people happy!!! The necklace quality is great. It turned out just as I expected based on the pictures online. I get compliments every time I wear it. I've been looking for a cute 'everyday' necklace to wear for at least half a year now (I'm incredibly picky! ), and this necklace is perfect. It's subtle and goes with absolutely everything!